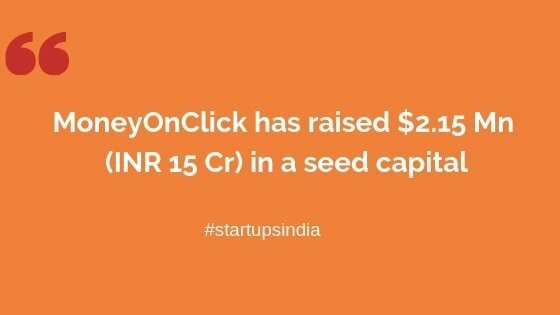 Bangalore-based lending startup firm MoneyOnClick has raised $2.15 Million (INR 15 Cr) in a seed capital round led by venture capital firms Orios Venture Partners, Kalaari Capital, and 3one4 Capital firm. The startup plans to use the funds to boost its core technology with a machine-learning based credit underwriting and risk assessment platform. The seed capital will also enable the company to hire leadership and operations teams. The startup Founded in 2018 by ex-LendingKart executives Vishal Chopra and Himanshu Gupta, MoneyOnClick aims to provide unsecured loan facility to the customers. The startup, which is currently in stealth mode, is using advanced ML/AI based underwriting and in-house technology platform, to provide unsecured personal loans to Tier 2 and Tier 3 customers while keeping very low default rates. According to the Indian Tech Startup Funding Report 2018, fintech startups raked $1.4 Bn in funding across 121 deals in 2018. 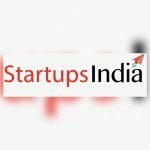 DataLabs noted that 2018 saw a sharp decline of 51.66% in the amount invested in fintech startups as compared to 2017, which is an indication of saturation in the Indian fintech sector, where licensing is going to be a decisive factor for investments in startups. According to the reports Indian retail lending may reach to $ 1.3 Trillion by 2014 and the unsecured loans to $200 Billion. The next generation of fintech startups has been focusing on changing the course of loans in the country by bringing their services to an unused. Earlier, talking about expectations of fintech market in 2019, Sanjay Swamy the managing partner of Prime Venture Partners told that there are three categories of fintech startups they are marketplace, cooperation with banks, and NBFC model will continue to grow day by day as financial services are very important in India.